Using the Workforce Credential Grant, you can become a clinical medical cost in four months at little or no cost. Making a career in the medical field doesn’t always require years of study followed by burdensome debt. Learn about becoming a clinical medical assistant at Tidewater Community College’s Center for Workforce Solutions’ open house on Aug. 8. Visit between 5:30 and 7:30 p.m. at the Tri-Cities Center, 1070 University Blvd., Room 1104, in Portsmouth. Clinical medical assistants are the most versatile members of the health care team. They perform a variety of functions to support patient care. The Department of Labor ranks the field as the sixth fastest growing job field in the United States. You’ll learn about earning an industry credential at minimal cost. The General Assembly-funded New Virginia Economy Workforce Credential Grant program, announced last summer by Gov. Terry McAuliffe, allows students to pay one-third of the course at the time of registration. Upon completion of the course and after earning the credential, the remaining two-thirds will be paid by the Workforce Credential Grant. While the full cost of the clinical medical assisting program is $3,210, by using the workforce grant, a student would pay $1,070. In addition, those who meet certain eligibility requirements can receive financial assistance that could pay up to 90 percent of the upfront cost. Orientation for the next four-month session of classes is Aug. 29 from 5:30-7:30 p.m. Classes will be held Tuesday, Wednesday and Thursday evenings from Sept. 5 until Dec. 13 from 5:30-9:30 p.m. Orientation and all classes will be held at the Tri-Cities Center. 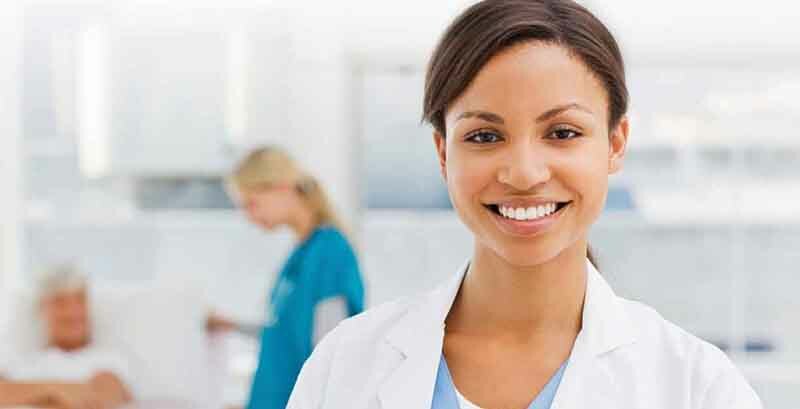 Students who complete the medical assisting program are qualified to sit for the Certified Medical Assistant exam through the National Healthcareer Association. The exam fee and the cost of textbooks are included in tuition. Graduates are equipped to assist physicians with examinations and treatments; take medical histories; perform diagnostics tests; expose X-ray films; sterilize instruments and supplies; assist with minor surgeries; and administer medications. Other programs eligible for the Workforce Credential Grant include medical billing and coding and certified professional coder exam prep. For a full list, visit workforce.tcc.edu/financial-assistance. For more information, call 757-822-1234 or email wfdinfo@tcc.edu.